I do not know this cat’s name, but he lives at Blackmore Farm, a fantastic 15th century manor house. His people do dinners for guests sufficiently far-sighted to organize themselves into a group of about 25, and book some months in advance. The guests are entertained in the great hall. They bring their own wine, they are served delicious food and there are unlimited puddings. There are pointy things, suits of armour, and the heads of dead things on the walls, and several cannon balls and mortar shells around the enormous hearth. Sir Cat comes in to check that all is done correctly, and strikes a pose with a nonchalantly lifted front paw. 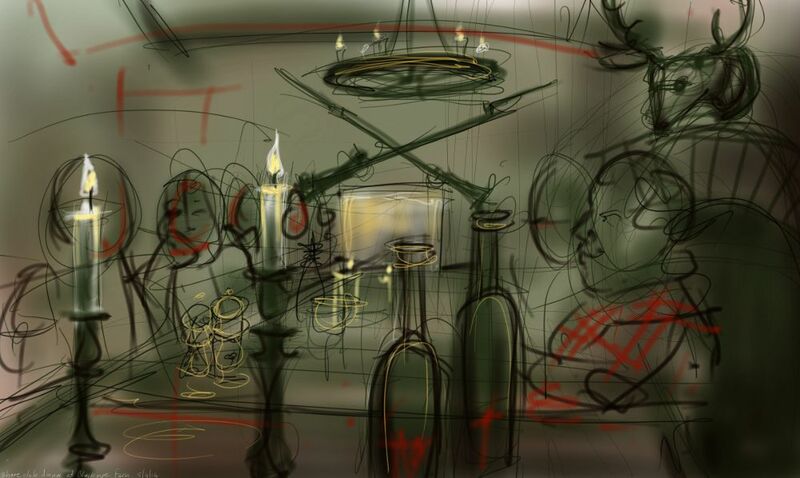 Here is the drawing I did last year, of Sir Cat’s great hall. 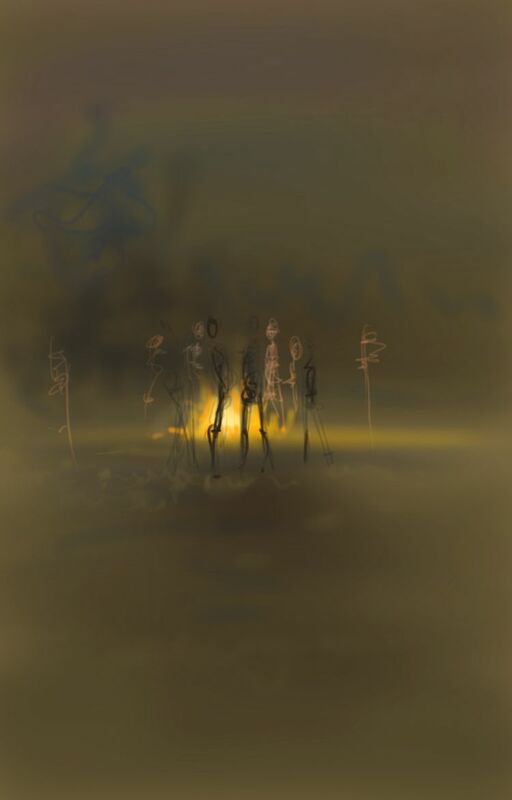 It doesn’t do the hall justice: on the opposite wall there were far older pointy things than a couple of rifles with bayonets, but there is only so much a person can draw in one sitting without appearing antisocial…. 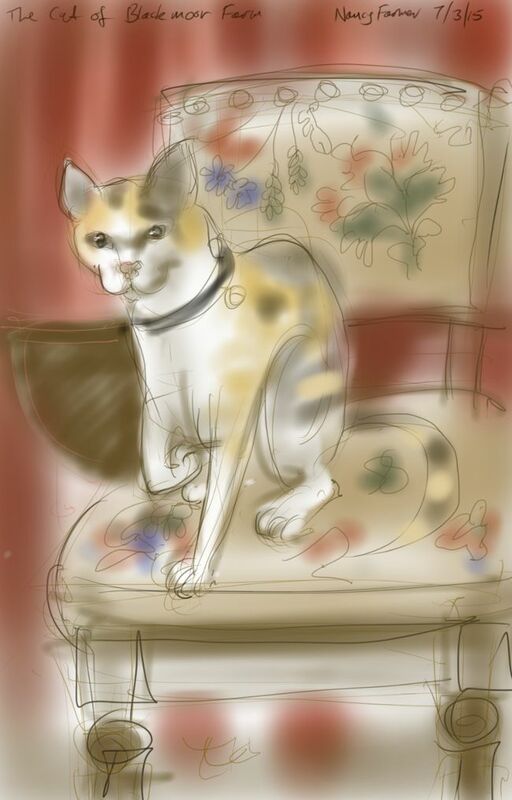 This entry was posted in Cats, Events and tagged art, blackmore farm, cat drawing, cat on a chair, cat sitting, cat-of-the-day, digital painting, illustration, sketch, somerset on March 8, 2015 by Nancy Farmer. 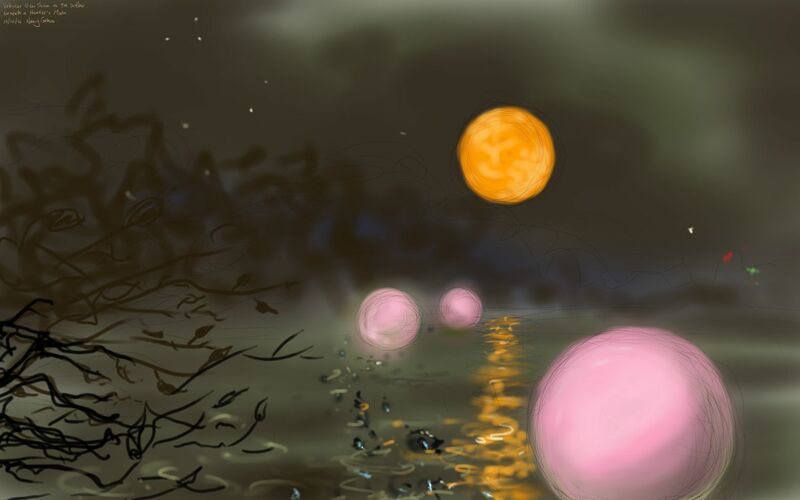 I attempted to draw this morning’s swim from memory. 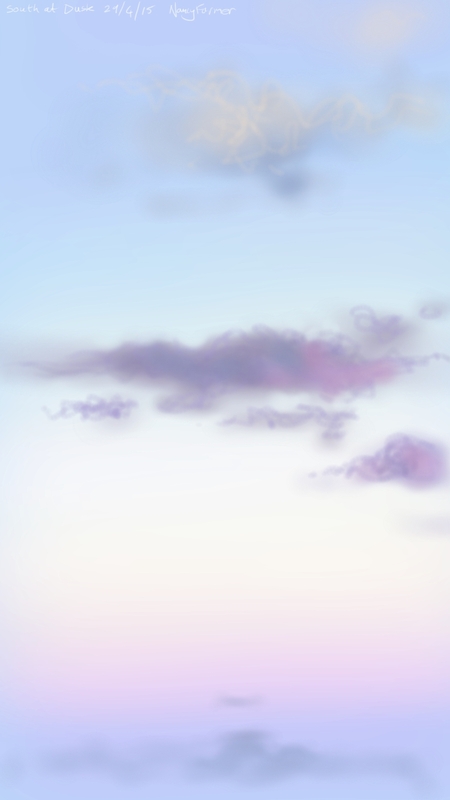 Tricky… I am not used to ‘realistic’ landscape stuff and I haven’t got very close to what I wanted, but it was such a lovely morning it was worth a try. At least it might explain one reason why I do not just pop down to the swimming pool. The water temperature was 7 degrees, the air about -3, the two of us still managed our loop of the lake in about 18 minutes in just our cozzies, though you would have laughed to see us trying to hold our coffees afterwards without spilling them for violent shivering! 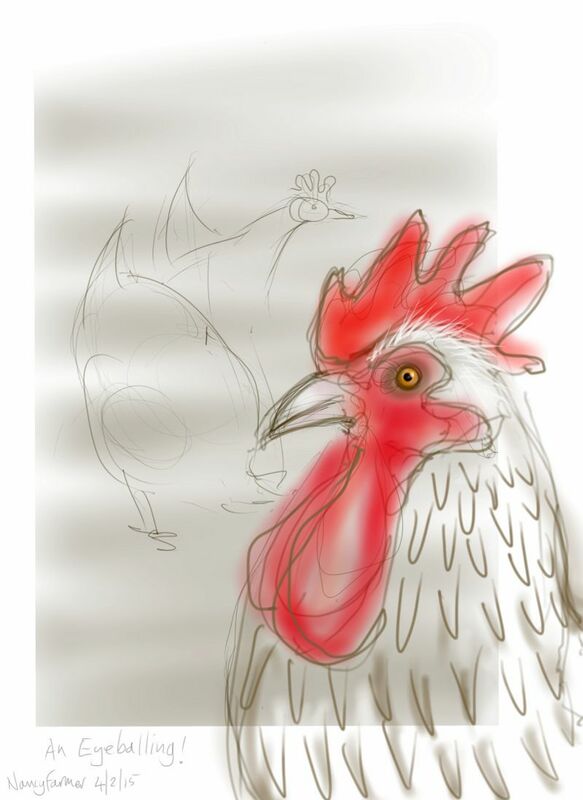 It’s a phase, it passes… (the shivering, not the swimming). 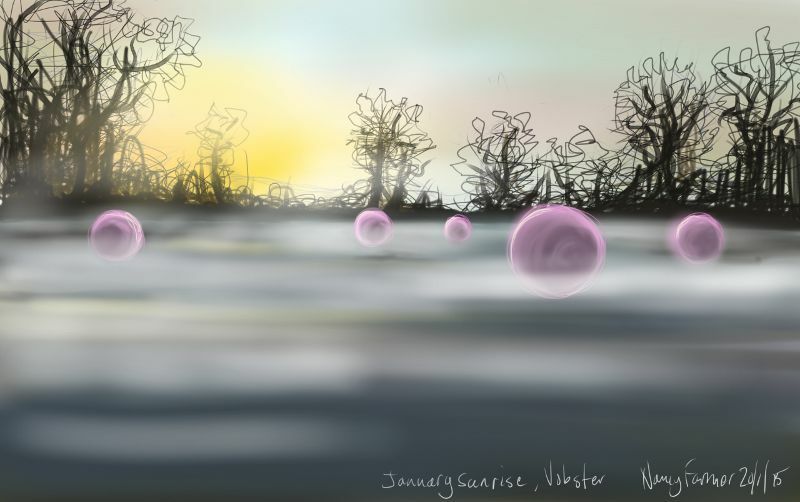 This entry was posted in Places, swimming and tagged art, cat drawing, cold water swimming, digital drawing, digital painting, drawing from memory, illustration, open water swimming, swimming, Vobster Quay on January 20, 2015 by Nancy Farmer. 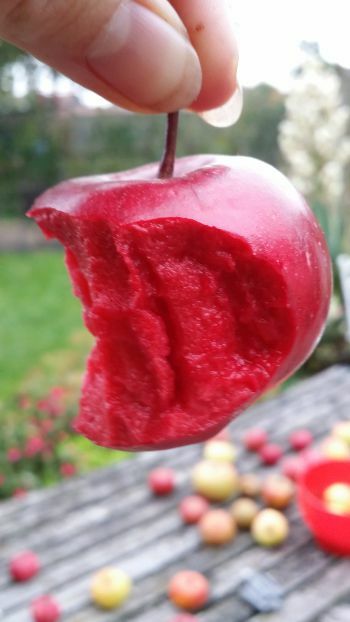 My apples are redder than your apples! Indeed they are, but my apples are heavily guarded. They are also few in number, and tiny, however, Arthur is a small fellow (at least, when he is next to Percy) so he feels they are the perfect size. 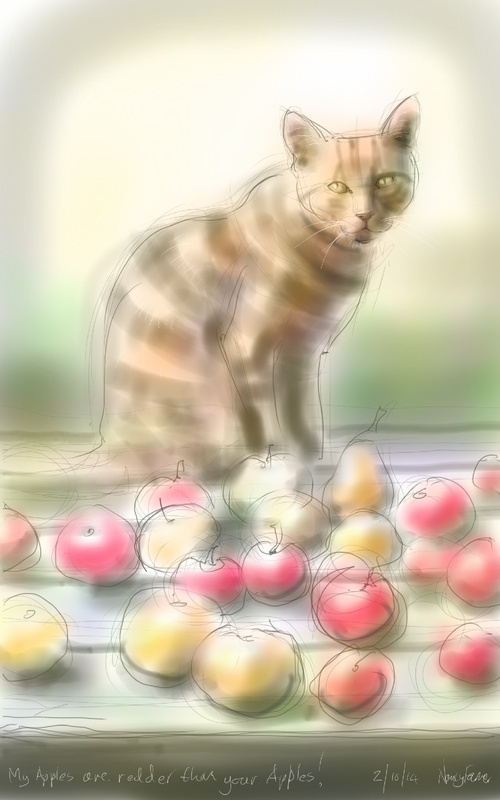 This entry was posted in Cats, Plants and tagged apple, art, arthur cat, cat drawing, cat-of-the-day, digital painting, ginger cat, illustration, redlove apple, sketch on October 2, 2014 by Nancy Farmer.